Gateway’s Managed Wi-Fi Networking offers greater reliability, easier management, and a lower cost of ownership. Cloud networking provides your business with corporate and guest wireless connectivity through centrally managed Wi-Fi access points. 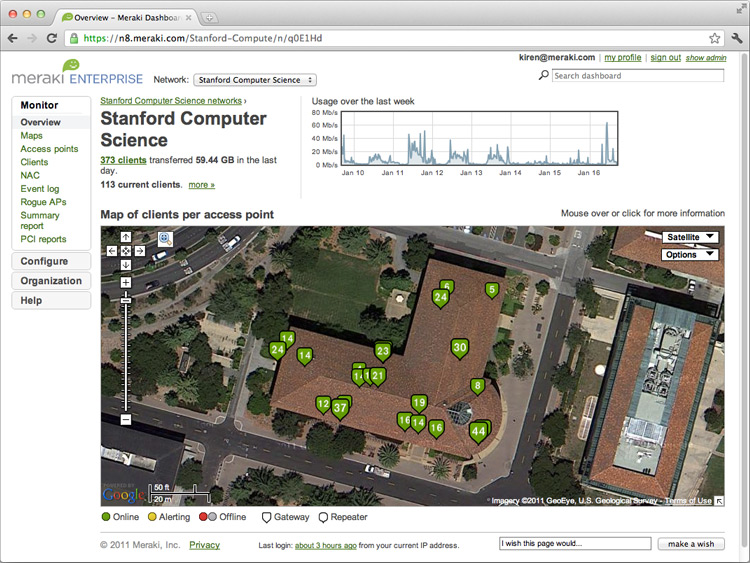 Reliable, high-performance Cisco Meraki wireless APs,switches, and security appliances are deployed in your campus or remote branches. No. Cisco Meraki uses an out of band management architecture, meaning that only management data flows through the Meraki cloud infrastructure. 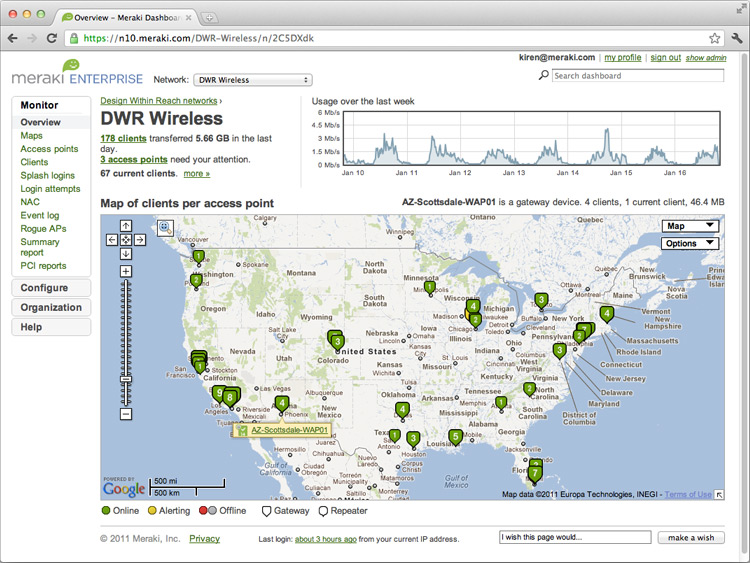 No user traffic passes through Meraki’s datacenters, and your data stays on your network. What happens if I can’t access the Cisco Meraki cloud? Your network continues to function normally even if you can’t access the cloud. Users can authenticate, firewall rules remain in place, and traffic flows at full line rate. 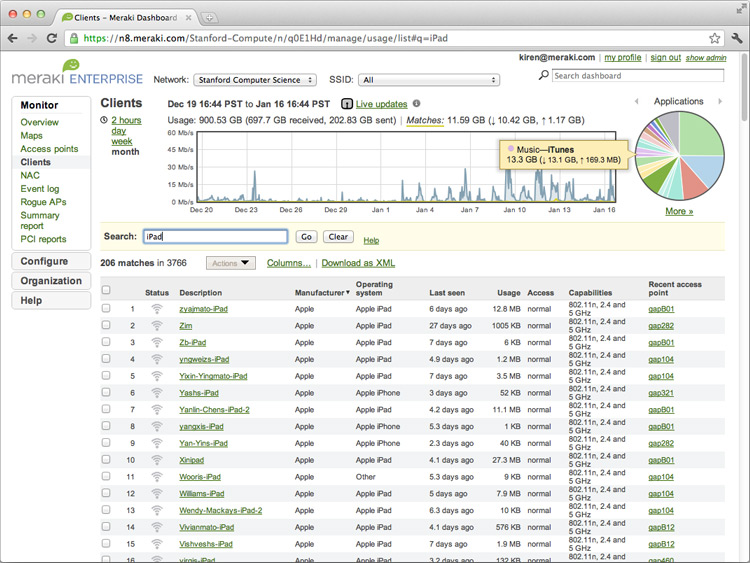 Only management functions – reports, configuration tools, etc. – are interrupted. The Cisco Meraki cloud architecture provides a feature set that is rich enough for large enterprise deployments, yet is easy enough to be used by IT generalists without training. Cloud based infrastructure provides cost advantages in both small and large networks, and the Cisco Meraki cloud infrastructure scales seamlessly from small branches to large campus environments and distributed networks. Proven in mission critical, large scale, and security conscious customer deployments. 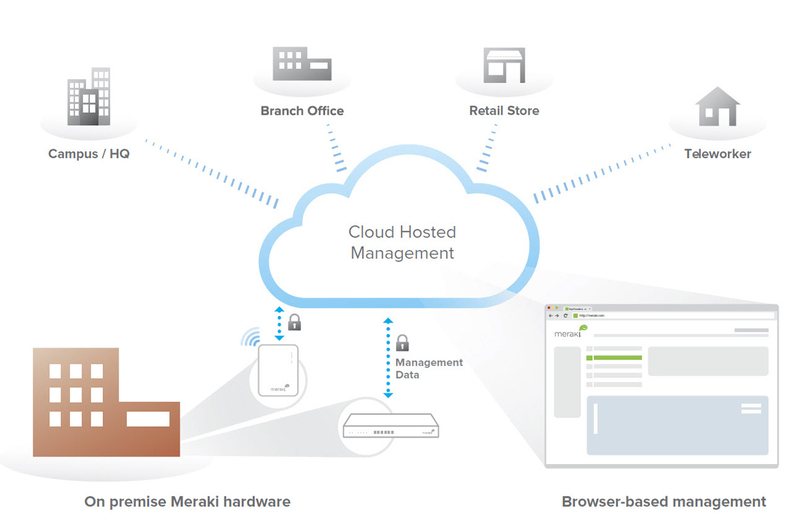 The Cisco Meraki cloud platform is built on secure, PCI compliant, redundant, and massively scalable cloud technologies.